The festival of Janmashtami is filled with various endearing and significant customs that have religious as well as spiritual significance. 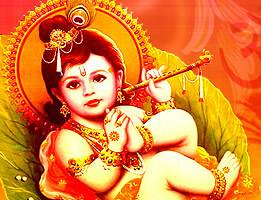 Janmashtami is celebrated to mark the birth of benevolent yet all powerful Lord Krishna. 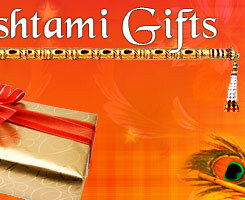 The celebrations of this sacred festival are carried out across India with great devotion and zeal. This day not just signifies the birth of eighth incarnation of Lord Vishnu but also emphasizes on the gift of spiritual knowledge that he bestowed on the mankind through his teachings and life. This festival is greatly intertwined with various customs and traditions. Since India is a vast and diverse country, the intricacies of various customs and rituals followed during this grand religious festival vary from place to place. However, there are certain basic customs that remain same no matter in which part of the country Janmashtami is being celebrated. Some such universal customs and rituals observed in Janmashtami are discussed in the lines below. On the day before the birth of the Lord Krishna, his ardent followers observe fast till midnight and break it with the prasadam distributed after the symbolic birth of the Lord. Most people only consume products made of milk and butter during this fast as both of these are considered to be most preferred and craved foods by Lord Krishna. However, some of the ardent Krishna worshippers keep 'Nirjal Fast' which means one cannot have even a drop of water until the auspicious time of Lord's birth. To mark this pious day, devotees devote their entire time in chanting various hymns dedicated to Lord Krishna in the form of various mantars and shlokas dedicated to his glory. Worshippers chant Krishna's name in rhythmic tone throughout the day. The entire atmosphere of various temples reverberates with this pious chanting of Lord's name. According to Hindu religion, one who chants Krishna's name 108 times attains the benevolent god's favor. At various temples, devotees sing and dance to the tune of enthralling bhajans dedicated to Lord's praise. During the Janmashtami festivities, various musical plays depicting the childhood and early years of Lord Krishna are showcased in front of the public. These entertaining as well as inspiring plays are known as Rasleela as well as Krishnaleela. These plays are performed by professionals as well as amateur artists. Other than these, various 'Jhankis' are also organized; these are basically miniature doll representations of Krishna's life that showcase various important occasions of his life, like his father Vasudev carrying infant Krishna across the mighty Yamuna River, killing of Kaliya serpent, etc. Throughout India on the eve of Janmashtami, various kinds of delicacies, especially sweets, are prepared as an offering to Lord Krishna. Though the dishes may differ from region to region, but the main ingredients remain butter, milk and curd. In Tamil Nadu, Murukku and Vella Seedai are special dishes prepared on this pious day, whereas Paal Payasam (milk kheer) and Neyyappam are the main offerings present to the Lord in Kerala. Peda is a favored dish presented in Mathura.